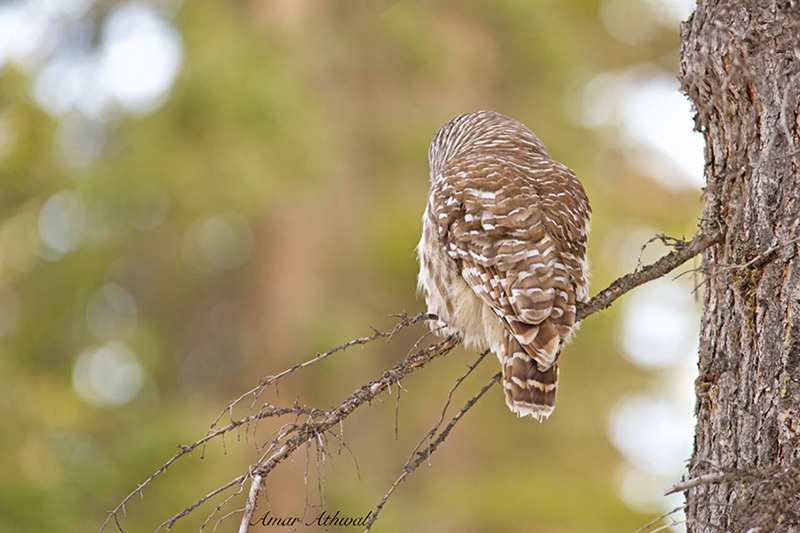 Spotted the owl early in the evening, resting, perched on a spruce tree. Waiting for dusk to set, when they started being active, hunting for voles and anything else that they may spot in the forest. They hunt small animals, but rodents are their primary focus.